25/7/2014 - Mari Kiviniemi, Finland’s former Prime Minister, and Stefan Kapferer, currently State Secretary at Germany’s Federal Ministry for Economic Affairs and Energy, have been appointed Deputy Secretaries-General of the OECD. They replace Pier Carlo Padoan, who became Italy’s Minister of Economy in February 2014, and Yves Leterme, who was appointed Secretary-General of the Stockholm-based International Institute for Democracy and Electoral Assistance in June 2014. As Deputy Secretaries-General, Ms Kiviniemi and Mr Kapferer will support Secretary-General Angel Gurría in his strategic objective of increasing the impact and relevance of OECD work, as well as strengthening the Organisation's outreach efforts with emerging economies and contributing to the public policy challenges of assuring strong inclusive growth, jobs, equality and trust. Ms Kivinemi was Finland’s Prime Minister from 2010-2011. She had previously been Minister of Public Administration and Local Government, Minister for Trade and Development and Minister for European Affairs. She has been a Member of Parliament since 1995. Born in 1968, Ms Kivinemi has a Master's degree in Social Sciences. She is married with two children. 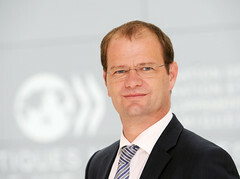 As State Secretary, Mr Kapferer has managerial responsibility for the departments of industrial policy, external policy, innovation and small and medium-sized companies at the Federal Ministry for Economic Affairs and Energy. He has previously served as State Secretary in the Federal Ministries of Economics and Technology (2011-13) and Health (2009-11). In these roles, he was instrumental in developing and implementing the German government’s reform and competitiveness agenda. Born in 1965, Mr Kapferer has a degree in public policies and administration. He is married with two children. For further information, contact the OECD Media Office (+33 1 4524 9700).